On 26 February, campesinos and indigenous persons pertaining to 78 ejidos from 11 municipalities of the Sierra and Coast of Chiapas founded a “Civil Guard for Self-Defense” toward the end of putting a halt to the looting undertaken by mining firms in the state. 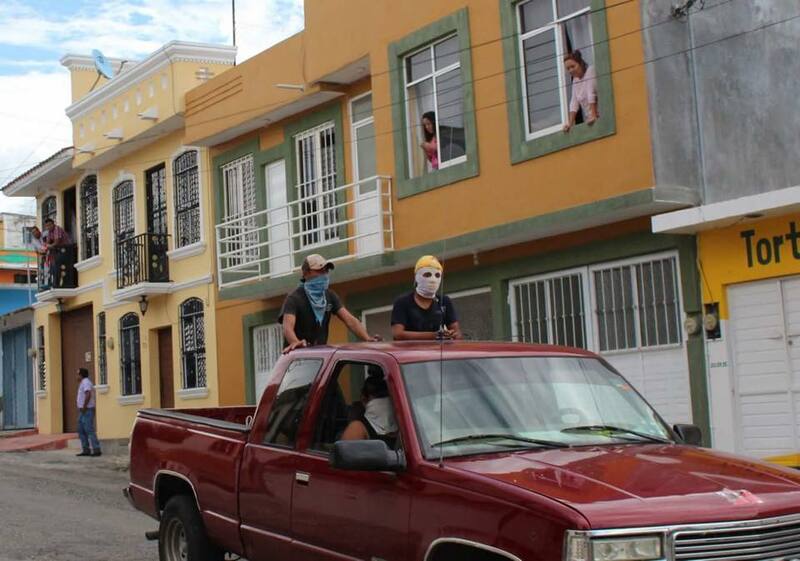 During a meeting celebrated in the El Carrizal community (Motozintla municipality), at which participated more than 2000 campesinos, it was agreed that the Civil Guards will be comprised by groups of 20 persons who will patrol zones to prevent the operation of mining firms and to arrest any transport vehicle in said zone. They indicated that they saw themselves as obligated to opt for this route in light of the indifference of the local and federal authorities and their outright collaboration with the companies that loot and pollute the state. 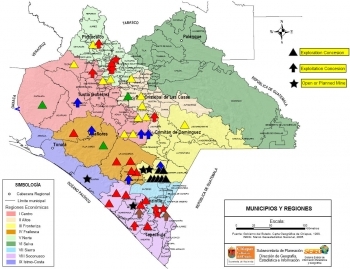 The 78 communities that participated are located in the Bella Vista, Bejucal de Ocampo, La Grandeza, Mazapa de Madero, Escuintla, Acacoyagua, Siltepec, Frontera Comalapa, El Porvenir, and Chicomuselo municipalities. More than 2000 persons from 20 municipalities of Chiapas as well as other states in the Republic and abroad protested in the Frontera Comalapa muncipality at the close of the “Chiapan Meeting in Unity against the Extractive Mining Model” which was held from 26 to 28 November in this municipality. 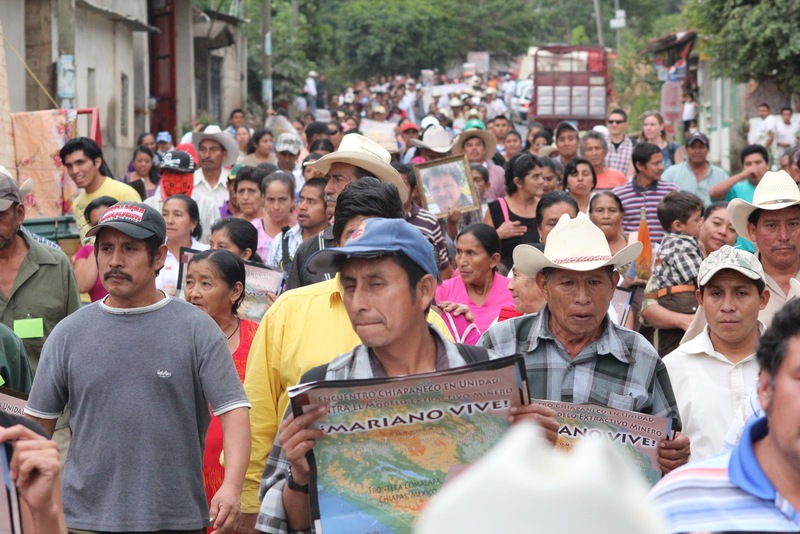 During the march, protestors demanded that the state and federal governments suspend 120 mining concessions that have been awarded since 2000, as well as the exit of these firms from the state of Chiapas. Similarly, they demanded justice for the murder of Mariano Abarco, an anti-mining leader who was murdered on 27 November 2009 in Chicomuselo. In a report published on 23 June 2011, the Oralia Morales Committee on Human Rights, the Fray Bartolomé de Las Casas Center for Human Rights, and the Movement for Justice in the Barrio of New York (USA) manifested their concern for the risk to the health and personal security of Bersaín Palacios de León, campesino from the community of Monte Redondo in the municipality of Frontera Comalapa, who has been imprisoned in the District Prison of Motozintla, Chiapas, since 14 April. Bersaín Palacios de León was arrested on 12 April 2011, together with Patricio Domínguez Vázquez (support-member of the Zapatista Army of National Liberation (EZLN)), Gerardo Vázquez Gabriel (a minor), and José González Dipo, in the Monte Redondo ejido, municipality of Frontera Comalapa, by ejidal authorities of the area, accused as they are of illegal logging. The three other persons in question have been released, but Bersaín continues in detention despite the noted irregularities in the ministerial investigation. According to the report, Bersaín has suffered all sorts of death-threats, insults, aggressions, and humiliation on the part of other prisoners in the Motozintla prison, as is known by the authorities of the detention center. 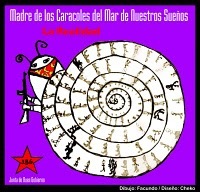 In a communiqué released on 17 April 2011, the Good-Government Council (JBG) “Hacia La Esperanza,” located in the Zapatista caracol of La Realidad, denounced that Patricio Domínguez Vásquez, a supporter of the Zapatista Army of National Liberation (EZLN), was attacked on his ejidal property in Monte Redondo (Frontera Comalapa) by ejidal authorities, accused of false charges, kidnapped, and handed over to the Public Ministry. The JBG demands the immediate liberation of Domínguez Vázquez, who has been incarcerated in the Motozintla jail.